Crescent-shaped and slouchy, hobo purses are worn cross-body or over the shoulder and are easily identified by the droopy or curved bottom. But don’t let these off-putting descriptors fool you; the hobo purse is far and away the most popular bag type largely because of its practicality, comfort and versatility. Borrowing its name from the image of a cartoon hobo carrying a bindle on a stick, hobo purses are so simple in their design that they always leave room for designers to create fashion-forward looks with their use of detail and choice of material. 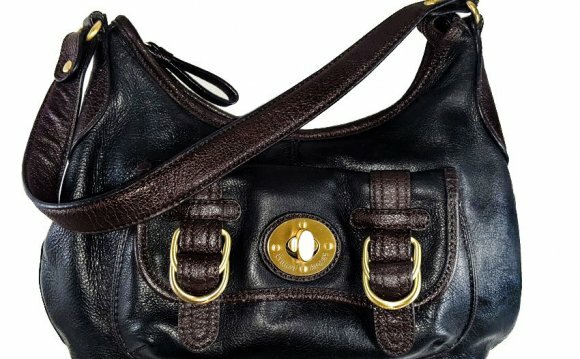 You’ll easily find hobo bags in faux or real leather, canvas and other materials, and while they certainly can be loose and slouchy (especially the more bohemian styles), there are many brands and styles of hobo purses that are sophisticated enough to catch the discerning eye of even the most stylish fashionista. Though the defining factor of hobo bags is the drooping bottom, many hobo purses are somewhat framed so you still have options to pair with that sharp skirt suit. If you’re seeking something practical yet still fairly casual, reach for hobo bags of any fabric or material that features interior or exterior pockets to hold contents neatly. Hobo bags are so incredibly versatile that you’ll have no problems finding one (or many) to fit all the styles in your closet. And when you shop for hobo purses at JC Penney, you’ll know you’ll find all the styles, fabrics and designer details you’ve been looking for at an incredible value. Even better, you’ll be able to enjoy our full range of handbags and purses at great prices!